Subscriber Insights is your subscriber health tracking dashboard. Gain insights you can use to build, retain, and target your subscribers. We'll be adding more charts and actions over time. Let us know what you'd like to see. Subscriber Insights is a visually engaging reporting dashboard to show your subscriber list metrics over time. Go to Subscribers > Insights to get started. How long subscribers have been subscribed? How subscribers are reading emails? At the top the Insights page you will see your current ACTIVE SUBSCRIBERS listed. This number represents current subscribers on your list and is a common data point used across all the Insight metrics. ACTIVE SUBSCRIBERS are any email addresses you have sent to in the past 90 days. Unsubscribed and hard bounce addresses are removed from the active subscriber count the month following the event. Learn more about active subscribers. LIST GROWTH is reviewed on a historical chart that defaults to a yearly view. Use the time toggles to switch between DAY, WEEK, MONTH, and YEAR views. Click the chart to enable interactivity and use mouse or track-pad to adjust time ranges. Mouse over an import spike and see the date of that import. List Growth shows how your active subscriber count is built over time via WordFly Signup, WordFly Lightbox, and Imports. A steady incline to the upper right is a good sign of a healthy list as it is growing over time. A flat line would indicate stagnant growth and would be a good flag to review acquisition channels and strategies. Any decent to the lower right should be a flag to review your acquisition and retention strategies. 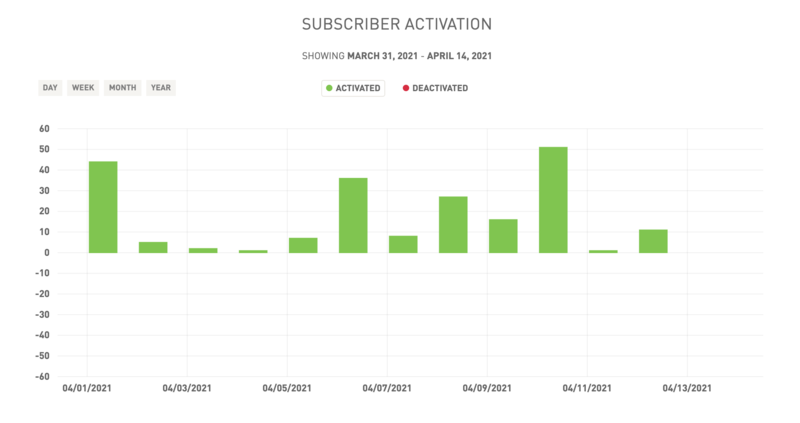 SUBSCRIBER ACTIVATION shows how your count is built over time by imports and reduced over time due to Hard Bounce Removals, Opt-Outs, and Abuse Complaints. This graph defaults to the weekly view. Use the time toggles to switch between DAY, WEEK, MONTH, and YEAR views. Click the chart to enable interactivity and use mouse or track-pad to adjust time ranges. Mouse over any addition or deduction to see the dates of those actions. The section HOW WERE THEY ADDED? addresses how subscribers were added into WordFly. There are three primary ways a subscriber is added to WordFly: via WordFly Signup, WordFly Lightbox, and Imports. In WordFly a subscriber is tagged with their acquisition channel through the data field WordFlyOrigin. You can use origin data field to segment lists. For example, you could follow up with everyone who subscribed recently through WordFly Signup or WordFly Lightbox. Learn more about segmenting by WordFlyOrigin. The section HOW LONG HAVE THEY BEEN SUBSCRIBED? addresses your overall subscriber retention rate. WordFly logs a subscribe date when a subscriber is added for the first time via WordFly Signup, WordFly Lightbox or Imports. Subscribers on your list for a few years represent a dedicated group of followers. ENGAGEMENT is a unique WordFly calculation for subscribers and this chart shows your subscriber engagement in a line graph for all active subscribers. Learn more about WordFly's Subscriber Engagement calculation. You may want to view all your subscribers and engagement data. You can do this in WordFly by exporting your subscribers by account and including the subscriber data fields Engagement Rate as well as Engagement Score with the data export. Then you can analyze all your subscriber's engagement data in one export file. Do you want to send a discount to your 5 star subscribers? Or increase engagement with your 2 star subscribers? You can use engagement data to segment lists. Learn more about segmenting by Subscriber Engagement Score and segmenting by Subscriber Engagement Rating. The EMAIL CLIENTS info-graph shows a bird's eye view of your top email clients across your active subscribers. Learn More about Email Clients reporting. The GEOLOCATION map shows the 5,000 most recent events in account for active subscribers. 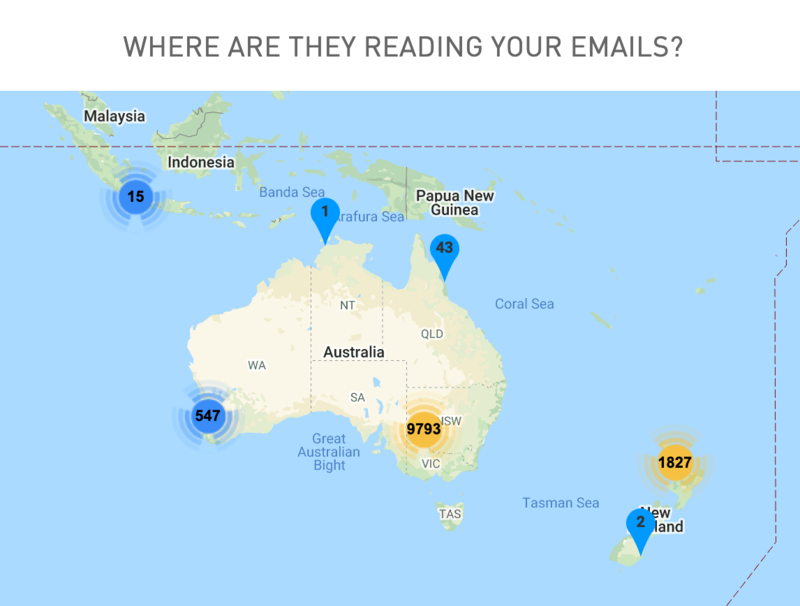 The map shows where in the world your subscribers are opening your emails. Learn More about Geolocation reporting. You can export your Subscriber Insights data right from the review screen. Export your data as a CSV file. 1. 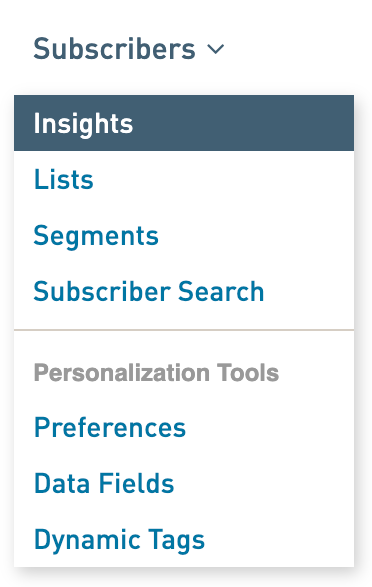 Select the drawer arrow at the top of the Insights page. 2. Select the option to download as a CSV. 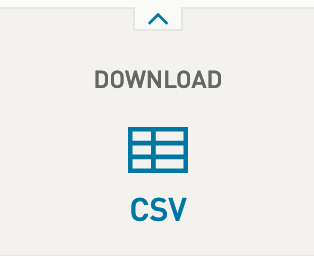 The CSV will download immediately to the folder specified on your machine for internet file downloads.